Photo: A girl enrolled in our “Children’s Hope Center” outreach receives nutritious meals which include eggs produced at our hen house. 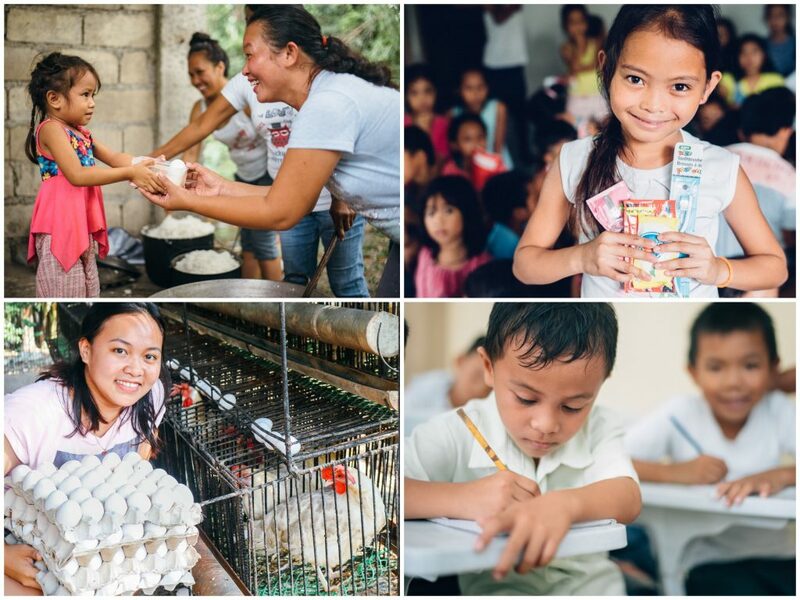 Today we want to share the history of our hen house project on the island of Cebu, Philippines, which is an integral part of our farmland enterprise as it provides a source of nutrition for the children and our native team, and sustainability and funding for our programs. We built our hen house in 2009, being the first people in our village to own a hen house. We started this innovative micro-business with 100 hens, then laying 75-80 eggs per day. Due to the diligent hard work and care of the hens by our volunteers, our hen house project has grown and thrived. Our faithful volunteers clean the hen house weekly, and every Wednesday they give our hens vitamins to strengthen their health and vitality. They also regularly check the size of the eggs to know how to adjust the amount of lay mash to feed the hens. Lay mash is excellent for our hens because it is a type of feed specifically for laying hens formulated with nutrients to help them produce more eggs. Compared to scratch feed, which is a grain-based chicken feed, lay mash provides more of the key nutrients used for egg production, such as protein and calcium. Our volunteers also installed a sound system in the hen house which plays local Filipino music to block out the sound of the hens’ surroundings, thus creating a peaceful, stress-free environment for the hens. The quality and competitive price for the eggs has created a strong local demand for our eggs, resulting in a daily waitlist for fresh eggs. Due to this high demand, all of the eggs are reserved by regular customers and no marketing is needed to sell the eggs. Our only expenses include lay mash, vitamins, and electricity for light and the sound system which costs $266 total per month. Over these 9 years the hen house has gone through various stages of development to reach its present stage today of housing 139 egg-producing hens who lay 120 eggs per day, thus giving us a monthly profit of $285 for selling an average of 3,000 eggs to our loyal customers. We also save $45 monthly from not having to buy the eggs that the children and our native team eat in their diets. We are seeking to raise $2,187 to purchase 250 more hens to increase our egg production closer to that of the month of July, which was an average month for our micro-business when 186 hens laid 4,836 eggs. This egg production gave us a monthly profit of $388 from selling 4,144 eggs to our customers, and saved us $69 from the 692 eggs consumed by the children and adults in our programs. Until we can expand our business with more hens, we are currently very thankful for our lucrative hen house project which consistently provides a steady source of funding for our Cebu programs. The 40 children (ages 5-18) enrolled in our Children’s Hope Center after-school care program are receiving fresh-cooked meals and tutoring in English, science, math, and physical education which they are studying at school in preparation for their end-of-semester exams in December. We are happy to report that 10 of our students recently received awards for honors in academics. We are proud of our students for their dedication to their education, and grateful for our Hope Center staff who helps these children succeed and grow. Many of the children’s parents work long, difficult days and are not able to care for their sons and daughters during the day, but our loving staff and volunteers provide them with the best nutrition, love, and support they can. In addition to after-school tutoring, the Hope Center also offers a dental hygiene program for the children enrolled as well as the children in the local community. This is extremely important because up to 30% of school absences are due to toothaches. The Philippines is the world’s largest consumer of sugar and soft drinks, yet 70% of the population has never seen a dentist and many families share one toothbrush. 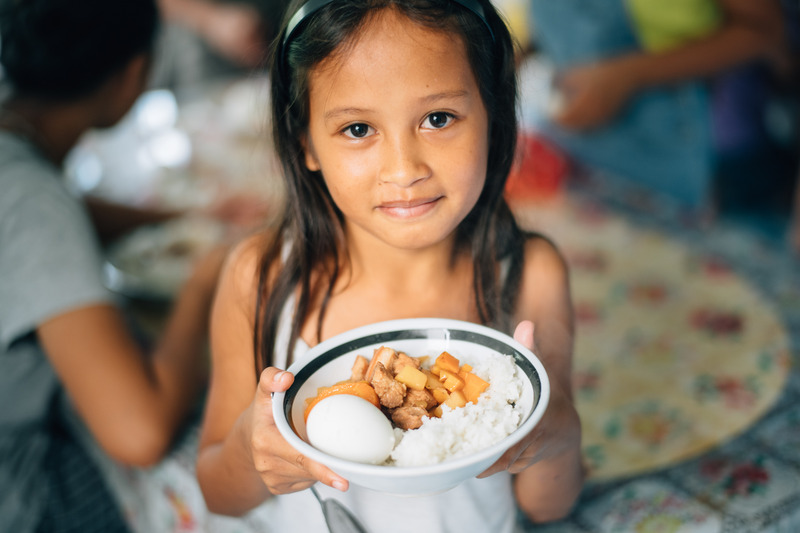 Healthy children with less hunger and fewer toothaches means they can focus on their education, which is the key to breaking the cycle of poverty and reducing the risk of trafficking that is sadly prevalent on the island of Cebu.